Stride off with pride wearing the Canali™ Moccasin Toe Loafer. Soft and smooth suede leather upper. Penny-keeper strap across the vamp. Durable rubber and leather sole. 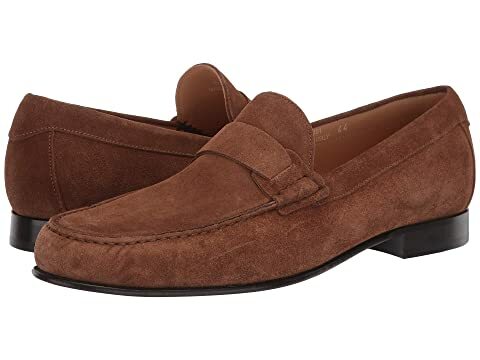 We can't currently find any similar items for the Moccasin Toe Loafer by Canali. Sorry!